DENVER – In a move signaling a shift in RE/MAX technology strategy, RE/MAX, LLC announced today REMAX Acquires booj, an award-winning Colorado-based web design and technology company. The acquisition exemplifies a new approach for RE/MAX that goes beyond adapting third-party vendor products to fit broker and agent needs. Moving forward, RE/MAX will leverage the capabilities of booj and other strategic partners to deliver core technology solutions designed for and with RE/MAX affiliates. The objective: technology platforms that create a distinct competitive edge for RE/MAX brokerages and agents and complement other tech products they choose to use. Booj has developed powerful technology systems for more than 40 regional real estate companies and 20,000 agents, allowing agents and brokerages to grow their business. These platforms, designed by and for the real estate industry, include websites, mobile apps, lead generation and cultivation systems and predictive analytics. The acquisition is one of many RE/MAX initiatives in the past year demonstrating the global franchisor’s drive to continue to lead the industry – including a refresh of the powerful RE/MAX brand, the creation of a new Business and Product Strategy team, and the launch of new automated social media and digital marketing solutions for agents. “We’re investing in tremendous talent, proven systems and future innovations as REMAX Acquires booj which will develop modern technology that helps our brokers and agents deliver even better service to their buyers and sellers,” said Contos. Founded in 2005 by Managing Partners and technology evangelists Ido Zucker and John Sable, booj has rapidly become an industry leader in producing end-to-end productivity solutions for real estate brokerages. The company has won numerous awards and was ranked in the Inc. 5000 for rapid growth for six consecutive years. With its staff of 77 members, booj, whose motto is “be original or jealous,” will retain its name and office. RE/MAX was founded in 1973 by Dave and Gail Liniger, with an innovative, entrepreneurial culture affording its agents and franchisees the flexibility to operate their businesses with great independence. Over 115,000 agents provide RE/MAX a global reach of more than 100 countries and territories. Nobody sells more real estate than RE/MAX when measured by residential transaction sides. RE/MAX, LLC, one of the world’s leading franchisors of real estate brokerage services, is a wholly-owned subsidiary of RMCO, LLC, which is controlled and managed by RE/MAX Holdings, Inc. (NYSE:RMAX). With a passion for the communities in which its agents live and work, RE/MAX is proud to have raised more than $157 million for Children’s Miracle Network Hospitals® and other charities. For more information about RE/MAX, to search home listings or find an agent in your community, please visit www.remax.com. For the latest news about RE/MAX, please visit www.remax.com/newsroom. 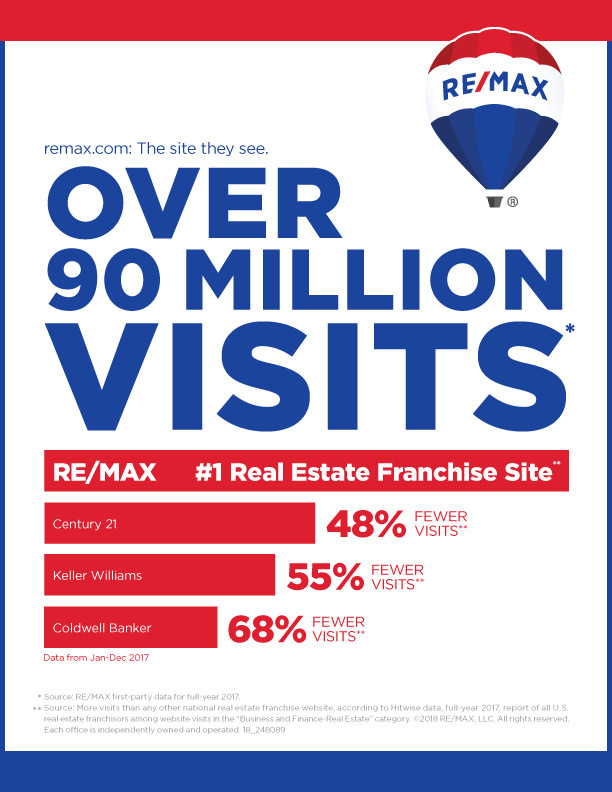 Millions of homebuyers and sellers helped make remax.com the most visited website among real estate franchises in 2017. 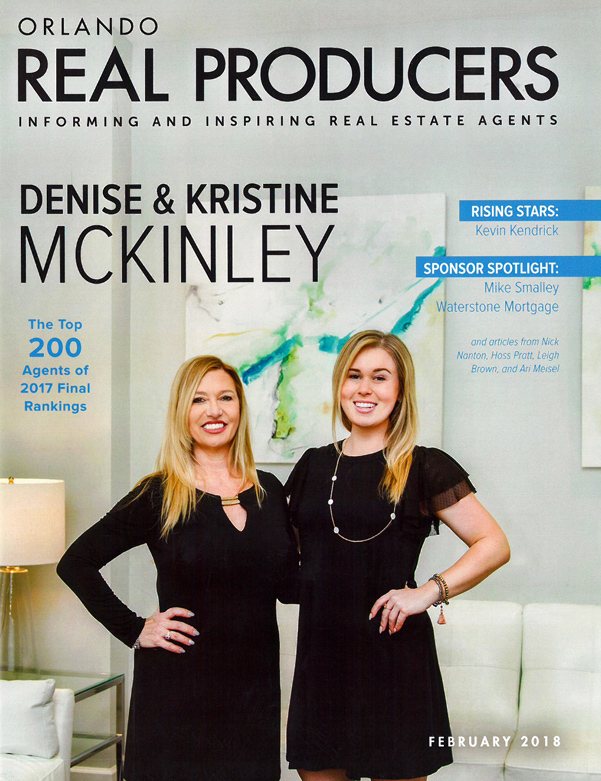 It’s a testament to incredible brand power, the quality of RE/MAX agents, and ever-increasing consumer engagement with the network’s flagship website.